Often copied but never equalled, the SYNCHRO cream with its regenerative powers is designed to nourish and revitalize your skin. Synchro is a nutritive and rejuvenating cream suitable for all skin types and all age groups. 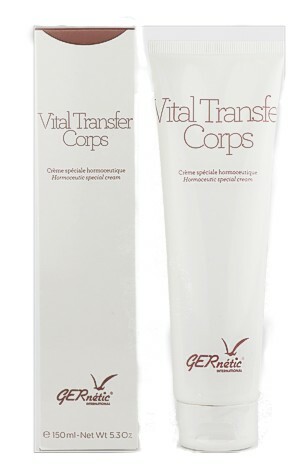 Synchro is the most important cream from the whole Gernétic range, it is applied after the majority of other creams and sometimes in combination with them. It is at the very core of Gernétics research and philosophy. Its synchronising action reinforces them and accelerates the results. Thanks to its active ingredients, SYNCHRO stimulates and maintains an optimum level of cellular renewal. Synchro was originally developed for skin burns and it has unrivalled regenerating and healing capabilities. Synchro regulates skin functions and restores its natural defence system. It is beneficial for all skin types, from oily to very dry and sensitive. Synchro is not only used on the face but also on the bust, body, hands and scalp in case of fresh scars or skin inflammations.